FREMONT, Calif. (KGO) -- The CHP is investigating a deadly collision involving five vehicles on Interstate 880 in Fremont that killed three people, including two juveniles. The CHP believes the driver who was responsible for the crash may have been under the influence of marijuana. There was devastation after a five-vehicle crash left three people dead. After notifying the next of kin, Alameda County Coroner's Bureau identified the three victims as Noelle Johnson, 39, Christy Limas, 14, and Brooke Limas, 9, all from Manteca. The three of them were ejected from their Cadillac Escalade shortly after 9:30 p.m. Tuesday night on Interstate 880 northbound near Stevenson Boulevard. Five others were inside the Escalade, including four children who were injured and taken to the hospital. The CHP says it appears the three who died were not wearing their seatbelts. CHP investigators believe 21-year-old Dang Tran of San Jose was responsible for the crash and driving under the influence of marijuana. 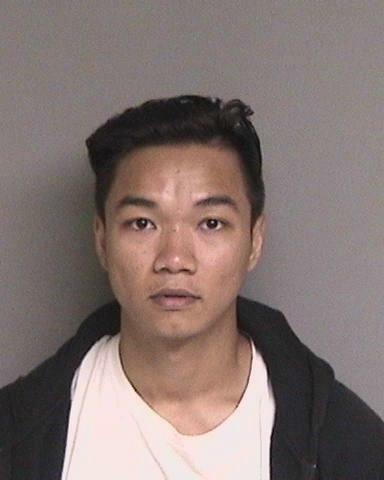 Mug shot released of Dang Nguyen Hai Tran, suspect in crash that killed three on I-880 in Fremont, California on Tuesday, May 16, 2018. Witnesses say Tran was speeding and driving his Toyota Camry erratically before the crash. "Based on the officers training and experience and their investigation, they determined that he was under the influence of marijuana," said CHP Officer Manuel Leal. Tran faces several charges, including gross vehicular manslaughter while intoxicated as well as counts for DUI and causing bodily injury. "The decisions people make, the decision this person made to drive under the influence changed these people's lives forever," Leal added. Compared to last year the CHP expects DUI marijuana arrests in the Bay Area will be up by 70 percent by the end of 2018.